Over 1,500 guests bring significant benefits to the island’s economy through the charity. 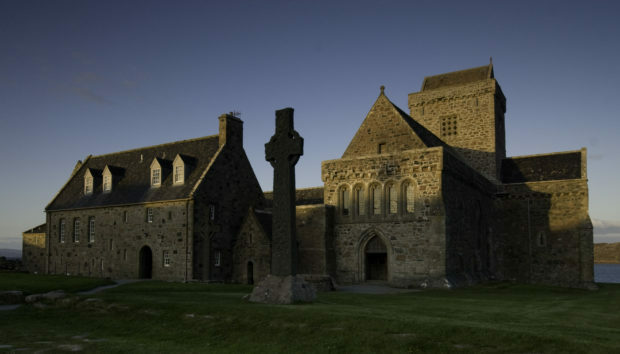 Iona has been recognised as the birthplace of Christianity as far back as 563 AD since St Columba established his community on the island. Reverend Kathy Galloway, joint leader of the Iona Community, said: “[We] want to continue to welcome people to share life in community for generations to come, and to make sure we are accessible for all. “This complex, exciting project will ensure people from around the world can continue to share in the community’s life within the historic setting and beauty of Iona. We have completed phase one of the works, and now we need help to fully fund phase two. “The abbey accommodation is the vehicle that enables people of all walks of life to engage with the community on Iona. It provides the unique opportunity to both challenge and inspire thousands of people each year into becoming change makers within their own communities. The Iona Community has raised £3 million to date, with £500,000 required to meet the initial target. Rev Galloway added: “Thanks to the generosity of our members, who raised £300,000 in the month of May alone, we are now in the position where we might be able to begin phase two earlier than expected. This will lead to substantial savings and mean we can open our doors in 2020.